It's that time of the week where I highlight one of my favorite male icon's. I'm very excited because it's the first written article of Maverick Male Icon of the year, as well as the first Wednesday of The New Year. This time I decided to do something a little different. I'm sure you are wondering what it is. Well, I figured I would focus and highlight not just one specific icon, but several. Yes, you read it correctly...several! Today lets take a look at The Dave Clark Five. Who is The Dave Clark Five? I'm so glad you asked. The Dave Clark Five (also known as "The DC5") were an English pop rock group. This group was established in 1958. They were the second group of the British Invasion to appear on The Ed Sullivan Show. They were well known for their single "Glad All Over". 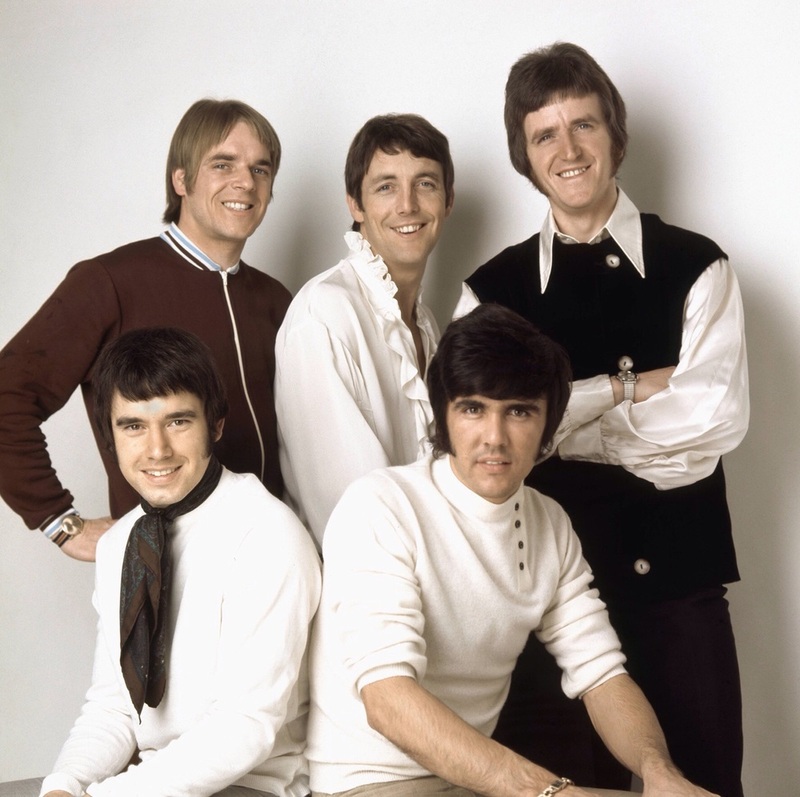 The Dave Clark Five had 17 records in the Top 40 of the US Billboard chart and 12 Top 40 hits in their native United Kingdom. Some would probably compare them to The Beattles. In fact, they were just as popular and maybe even ran neck in neck with The Beattles. Especially, when it came to there endless sense of style. After doing some research and coming across several pics, I think every Maverick Man could learn a thing or two that could enhance your own style. Today I applaud Mike Smith, Lenny Davidson, Denis Payton, Rick Huxley, and Dave Clark....The Dave Clark Five. I Say Yes! Wearing a vest has always been a classic trend of the past and it remains to be one even now. Maverick Men I hope you have at least one vest in your closet. If not, it's time to make the investment. Who said that only women can wear a silk scarf around their neck and a ruffled shirt??? Well, I must say that I beg to differ. These gentlemen broke all the rules. That is what made them Maverick Men and Icons. One can never go wrong by wearing a dark blazer and a roll neck shirt paired with a straight leg pant. It is so classic, effortless, timeless, and such a staple. Remember, keep it simple because it always speaks volumes. This is a look that any Maverick Man can practice when in doubt of what to wear to a social function, event, or to the perfect dinner date. Gentlemen I hope we all learned a little something from the enfamous icons...The Dave Clark Five. I Say Yes!